"Essauoira is the best place to learn to sail in waves- I've managed to teach guests forward loops and table tops in their first week of any real wave experience when the conditions are good, which they reliably are! With no groins, rocks or rips around, the sandy beach is a pleasure to share only with camels and inspires confidence to the INtuition group as we sail almost alone in this perfect 'learn to wave sail' venue. Small soft waves are the perfect size and shape to learn to jump, and the ideal training ground to set you up for a stress free future using your new found wave sailing skills around the world. With wind from the right, it is also bang on for UK south coast windsurfers! The old castle walled town is a maze and trip second to none, that I would only advise you to experience with my guidance as I've been coming here for many years and know all the very best places to eat and things to do. In fact, of all the venues I run INtuition courses at, this is the most full on with untouchable cultural experiences literally non-stop every evening, we rush from the water, to our hotel, to another insane place for incredibly good food, every night. If you want to combine a massive confidence boost in the waves and learn all the wave sailing moves, with an amazing rush of culture, the strangest experiences and divine food and wine- this is the only trip you should consider!" 15 to 25 knots daily side shore from the right. Wind and surf 75% of days, and almost always surf. Breaking waves, average 1m/waist to shoulder high. Beach break with easy to manage, well spaced waves. 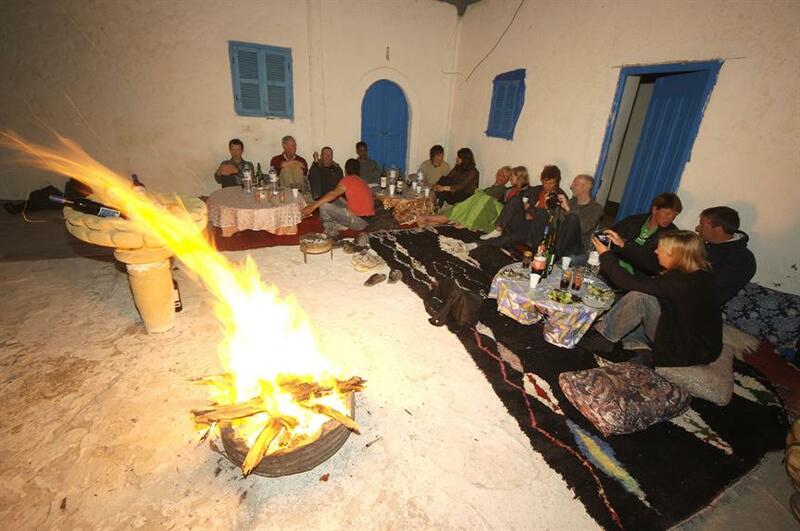 We also often do day trips to Sidi Kiaoki or Mouley too in search of more wind or waves. You will need a good warm short arm wetsuit or a long arm suit if you're skinny in April, not so much because of the water temperature but because of the wind. A charming Moroccan hotel hidden within the ancient castle walled town, this hotel is a unique experience in itself and made fame in the 70's when Jimi Hendrix lived there. Surrounded by outstanding French and local cuisine and bustling streets and souks, taking you to another world full f ethnicity. 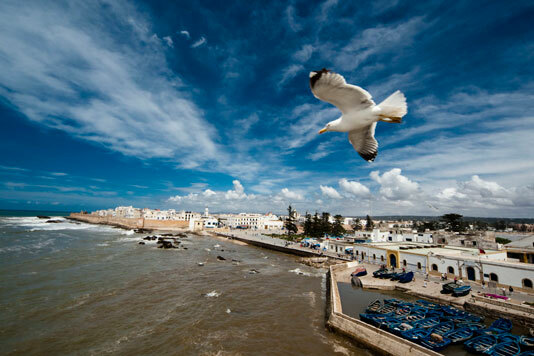 3 hours by taxi from Marakesh or Agadir. Toilets, changing etc and fantastic restaurant. Surfing, horse riding, quad biking, you name it, you can do it here. Incredible sight seeing and walking in the old town and Medina. Shorts during the day, trousers and long sleeves and hoodies at night in April/May. Filmed from the beach and played back at the windsurf centre and/or our hotel. Breakfast- Simple buffet. Lunch - At beach restaurant for great French/ Moroccan specials, or pizza's delivered by camel to us on the beach! It's true. Dinner - The outstanding local Moroccan cuisine in the bizarre streets of the stunning Essauoira, washed down with red wine and conversation, or to one of Cribby's many unique and radical unforgettable local gems. Great red wine helps us venture into outstanding culture and great socials by night. This is pretty much the ultimate INtuition course for quality socials and mad experiences.